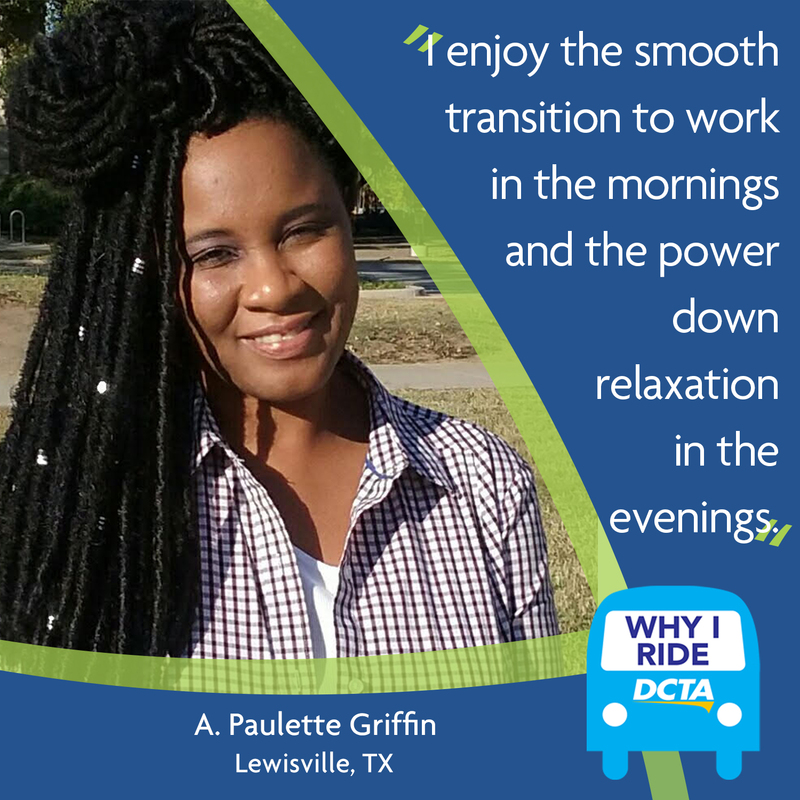 A: What I enjoy most about riding DCTA’s A-train is the smooth transition to work in the mornings and the power down relaxation in the evenings. A: I love that I have time to sit back and read my e-mails and text messages, and listen to my voicemails. I don’t have to worry about driving in stop and go traffic commuting to and from work in Addison. A: I would tell current passengers to commit to a month of exploring different options in their community riding DCTA. I also would tell non-passengers to try a week of commuting. Using the trip planner and calling DCTA’ customer service line works wonders in navigating your day! I grew up in Denton, and I am so excited to see DCTA and all that it brings to my hometown and Denton County! I have made it my mission to support the efforts to increase ridership within the organization. I work with other organizations in the community that give back, and you all rock in that area! #AskDCTA: What are DCTA’s guidelines for bringing animals on vehicles?